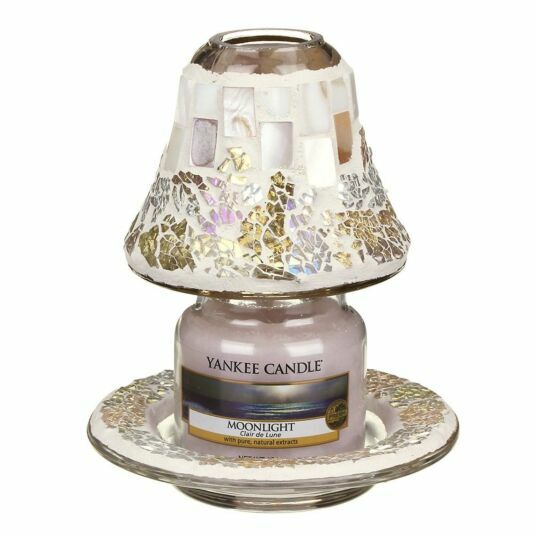 Bring an atmosphere of glamour to your home with this stunning set of candle accessories made exclusively for Yankee Candle. 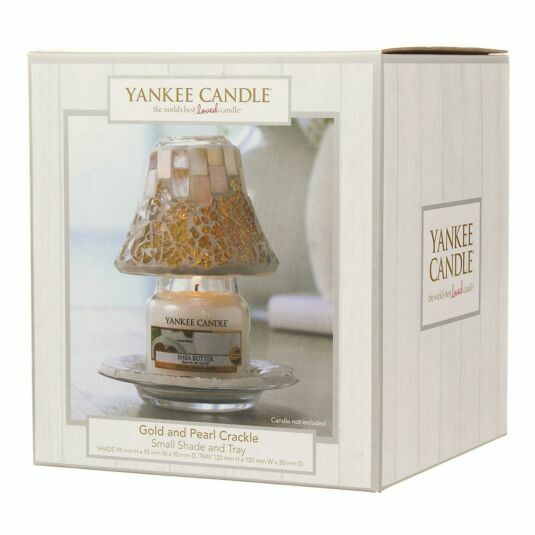 This set contains both a Yankee Candle shade and tray to accessorise your favourite fragrance. 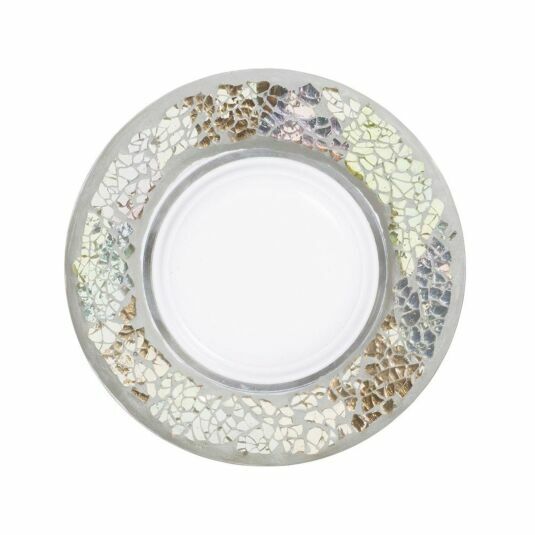 Both tray and shade are decorated with a combination of pearly mosaic pieces and fragmented gold shards, which combine to reflect the light and echo the heyday of Hollywood, when starlets lounged on fur beds surrounded by opulent art deco furnishings. 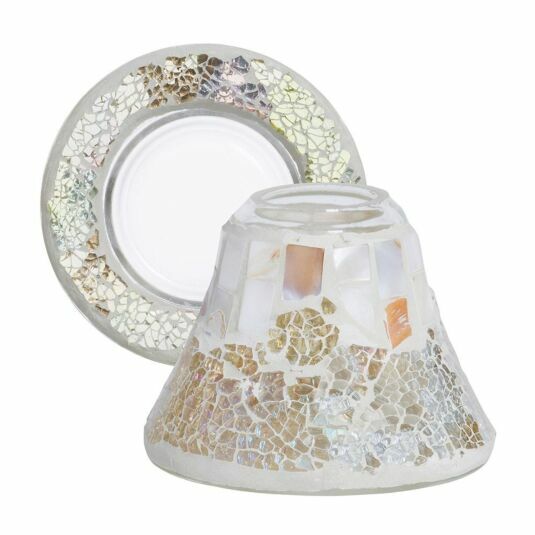 The tray acts as a decorative placement for any small sized candle whilst also adding a secondary means of support. 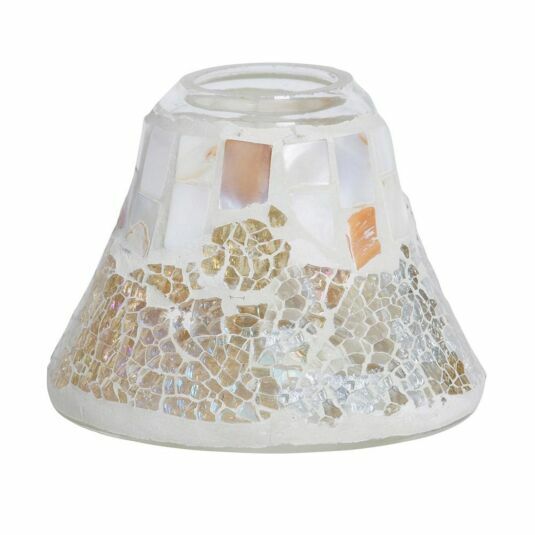 The shade offers a beautiful show of light when placed atop a lit candle, with the crackled fragments of glass reflecting throughout the room creating a colourful spectacle whilst you enjoy the serenity of your favourite fragrances. 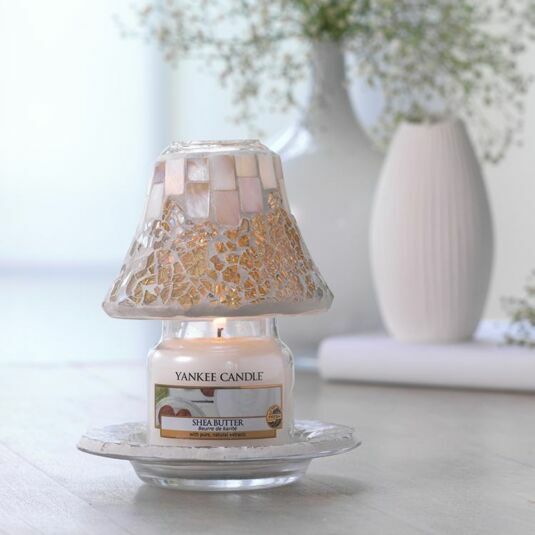 This beautiful set makes a lovely gift for Mother's Day or Valentines, especially when combined with your favourite romantic scent.